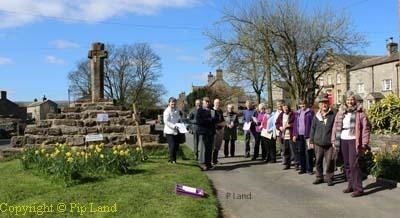 Penhill Benefice celebrated Easter with many events in April 2014. 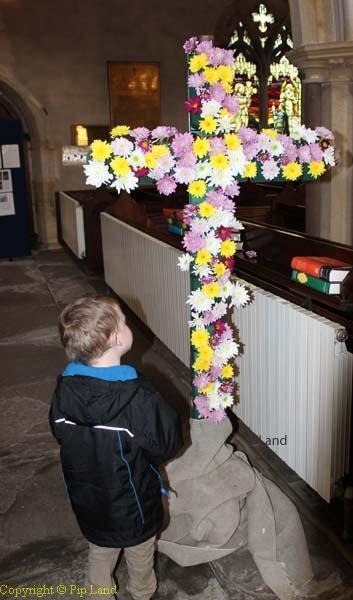 But why is Easter so important? Many years ago a Muslim man left me almost speechless when he asked one short but very important question. I respected that man a great deal for he was a very sincere Muslim who prayed five times every day, fasted during Ramadan, and gave alms, as well as having been to Mecca. One of the people who lived a beautiful life was Dorothy Walker. I have added the Rev Graham Dear’s speech to my tribute to show why. 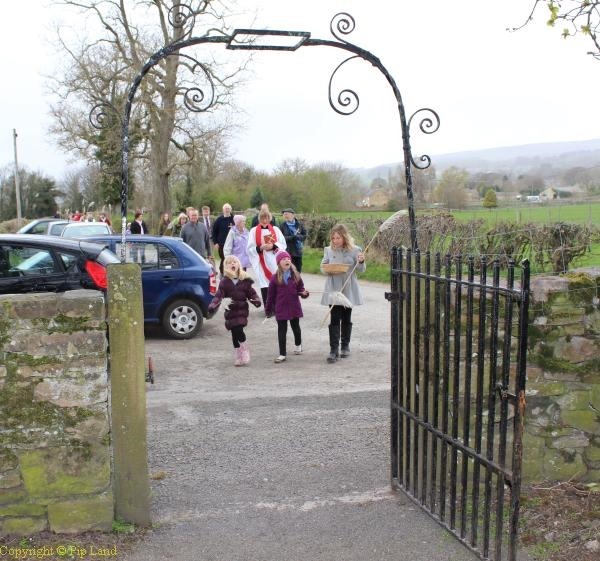 In Penhill Benefice we had a busy time celebrating Easter in 2014 – from the processions at Redmire and West Witton churches on Palm Sunday, to the Stations of the Cross throughout the benefice on Good Friday, to the Easter Sunday services. 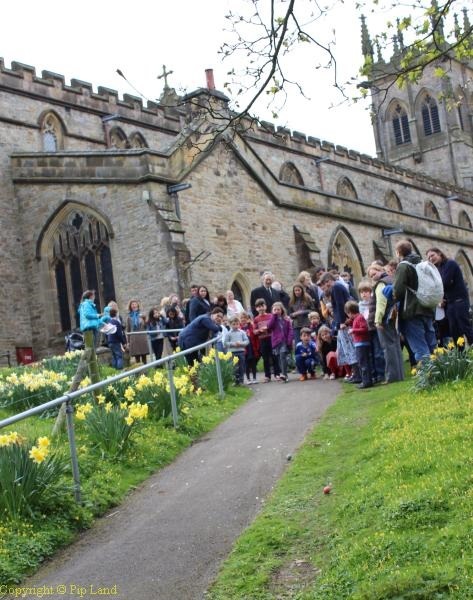 At Aysgarth church many children enjoyed decorating eggs and biscuits – and then the egg rolling afterwards. 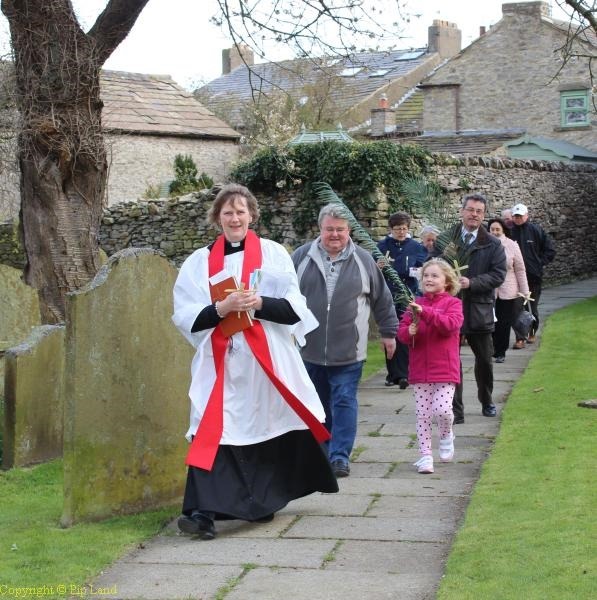 Pictured below: the Palm Sunday procession to Redmire church; and the procession to West Witton Church led by the Rev Penny Yeadon; Stations of the Cross at Carperby on Good Friday; egg rolling at Aysgarth Church on Easter Sunday. There are more photos – if anyone wants a CD contact me at pip.land@btinternet.com.